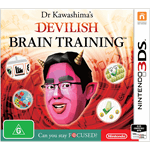 Brain Age is back with all-new devilishly difficult brain-training exercises designed by world-famous brain researcher Ryuta Kawashima, MD to refocus the modern mind. People today have numerous devices to stay connected (e.g. laptops, smart phones, tablets), and these distractions have led to an information overload making it difficult to stay focused on specific tasks. Brain Age Concentration Training brings newly designed training exercises that will challenge players with activities to help improve their concentration skills and the ability to access their short term memory. Spend at least 5 minutes a day to try and better your focus and attention skills. 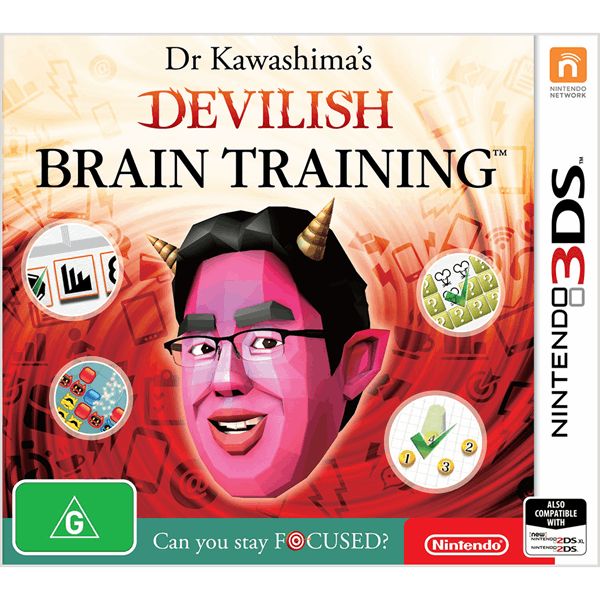 The new Devilish Training exercises dynamically increase or decrease in difficulty based on your real-time results to help consistently train players at the limit of their abilities. Beyond the Devilish Training, there are additional new and classic puzzles for every purpose to challenge one’s concentration or math skills, but also to provide relaxation activities to give the brain a break.